Turtle Grass Thalassia grows in sand or mud in shallow, tropical, undersea meadows. 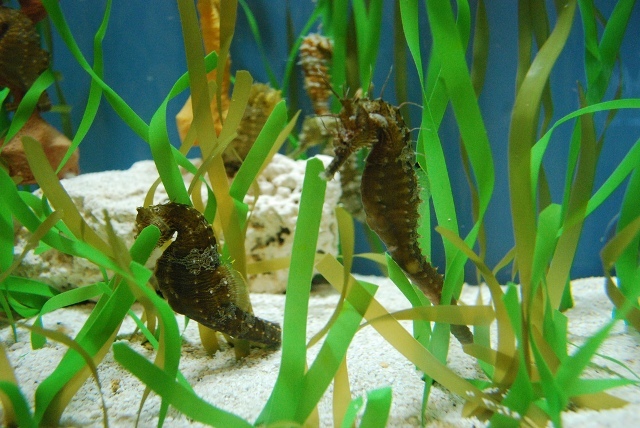 It is an important food of many marine animals and provides a haven for them. 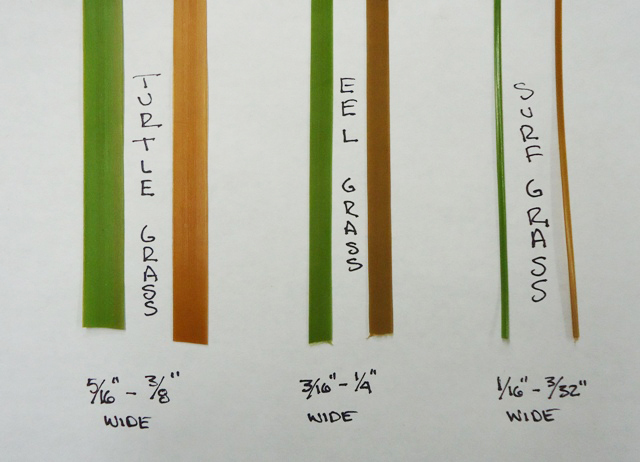 The leaves are 10 mm wide and broader than Surf Grass or Eel Grass. Turtle Grass at Mote Marine Laboratory and Aquarium in Florida.